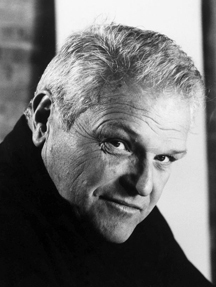 Few American actors can claim to have had a career as varied and prolific as Brian Dennehy. For over thirty years, Dennehy has excelled in character parts and leading-man roles on television, in movies and on stage. He has played drama and comedy with equal fervor alongside some of the best actors and actresses of his generation. In 60 feature films and more than 100 television series and made-for-TV movies, Dennehy has come to represent an iconic image of a certain type of working-class American. The cop, the firemen, the priest, the soldier – Dennehy has brought nobility, passion and verisimilitude to these roles. In his long career, he has probably played more men-in-uniform than any other American actor, which seems fitting for a former alter boy, college football player and ex-Marine. Brian Mannion Dennehy was born in Bridgeport, CT on July 9, 1938. When he was still young, his family relocated to Long Island, where Brian attended Chaminade High School in the town of Mineola. He was a star on the football team and went on to attend Columbia University on a football scholarship. After graduation, Dennehy joined the U.S. Marine Corp, where he served for four years. In the early 1960s, Dennehy enrolled in Yale Drama School while at the same time working odd jobs to sustain his dream of becoming a professional actor. His working-class existence laid the foundation for his persona as an actor. Dennehy’s first major movie roles were as a football player, a fire chief, a police sergeant, and a union organizer. In feature films such as Semi-Tough, Ten, Silverado and Cocoon, Dennehy stood out in supporting roles. In numerous made-for-TV movies he often played the leading man. His varied roles have included numerous true-life characters, including Clarence Darrow, Teamster boss Jackie Presser, basketball coach Bobby Knight and serial killer John Wayne Gacy, to name a few. Among Dennehy’s most notable movies are Gorky Park, Presumed Innocent, F/X, Best Seller, A Rumor of War, The Belly of the Architect, Tommy Boy (in which he played Chris Farley’s dad, Big Tom Callahan) and the Detective Jack Reed series of movies made for television. While building an impressive screen career, Dennehy never lost touch with his acting roots in the theater. His first major stage role was in high school when, at the age of thirteen, he played Macbeth. Since then, much of his most challenging work as an actor has been in the theater, where he starred in productions as diverse as My Fair Lady, Bertolt Brecht’s Galileo, Brian Friel’s Translations, Inherit the Wind, Krapp’s Last Tape by Samuel Beckett, and – most notably – his Tony Award-winning performance as Willy Loman in Arthur Miller’s masterpiece, Death of a Salesman. In the early 1990s, Dennehy began what would be a career-altering relationship with the work of playwright Eugene O’Neill. At the Abbey Theater in Dublin, he starred as Hickey in a production of The Iceman Cometh. Back in the States, he received acclaim – and his second Tony Award as Best Actor – for his performance on Broadway in Long Day’s Journey into Night. He later starred in a Broadway revival of O’Neill’s Desire Under the Elms and at the Stratford Shakespeare Festival in Canada in O’Neill’s one-act play Hughie, in which Dennehy played Erie Smith, a heavy-drinker and small-time gambler on a losing streak. Along with two Tony Awards, Dennehy has won a Golden Globe, a Screen Actors Guild Award and has been nominated for six Emmy Awards. He also holds the distinction of having been lampooned in the animated movie South Park: Bigger, Longer & Uncut, and in an episode of The Simpsons.